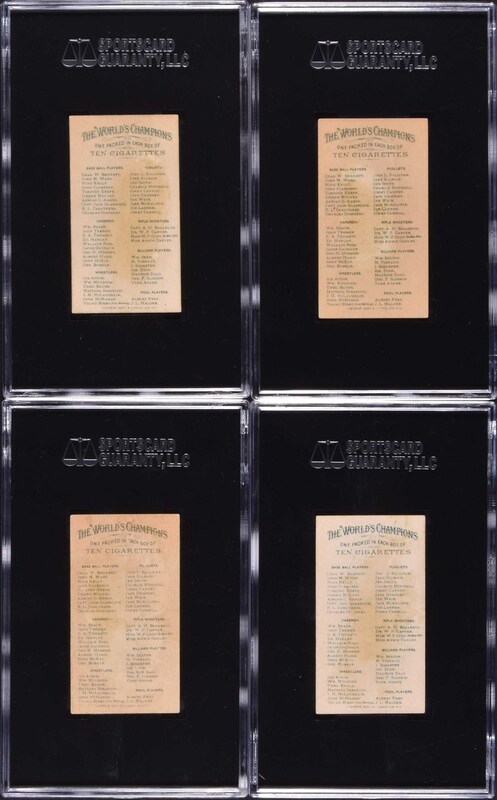 1888 N28 Allen & Ginter "World's Champions" near-complete set of seven out of ten baseball players, including five Hall of Famers (Anson, Clarkson, Keefe, Kelly, and Ward), all graded and encapsulated by SGC (submitted by REA). 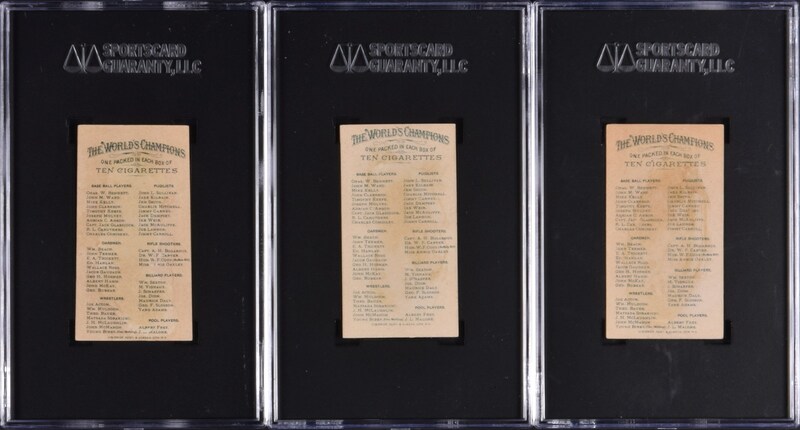 SGC Condition Report: Cap Anson (VG 40), R. L. Caruthers (GOOD+ 35), John Clarkson (GOOD+ 35), Tim Keefe (GOOD+ 35), Mike Kelly (GOOD+ 35), Joseph Mulvey (Authentic), and John Ward (GOOD+ 35). 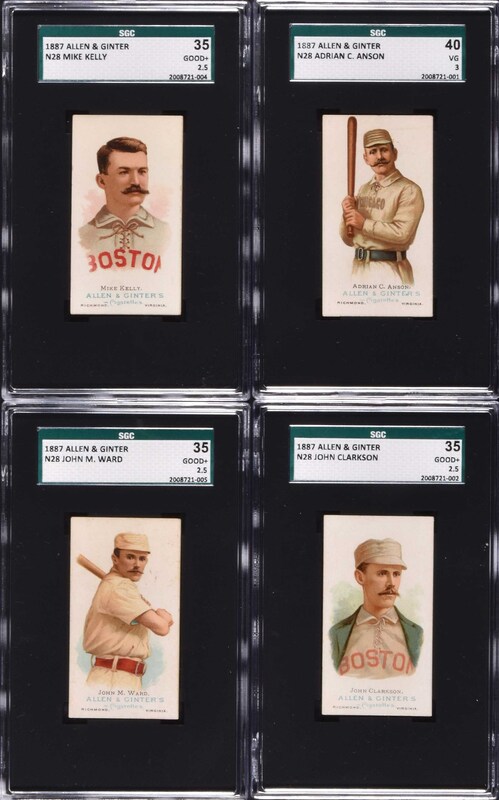 Allen & Ginters are universally recognized as one of the most classic of all pre-1900 issues. 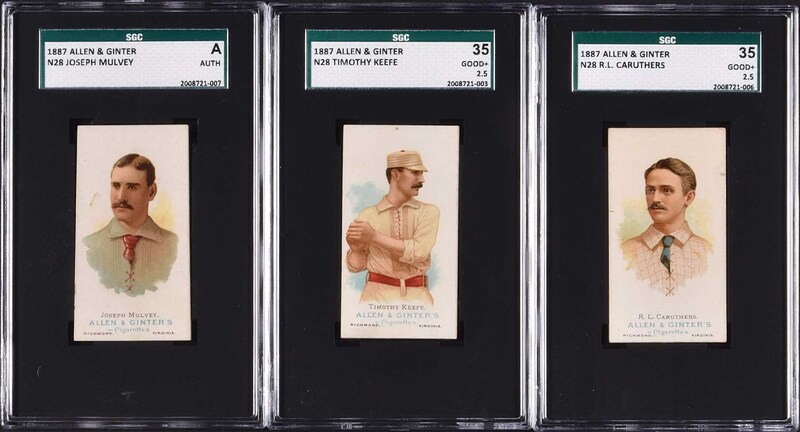 Despite the modestly assigned grades, this is a very attractive near-complete set of this extremely popular 19th-century issue. The equivalent SMR value in the assigned grades for just six cards (excluding the one Authentic and factoring in the five half-grades at the lower whole-grade level) is $2,370. Total: 7 cards. Reserve $500. Estimate $1,000+.